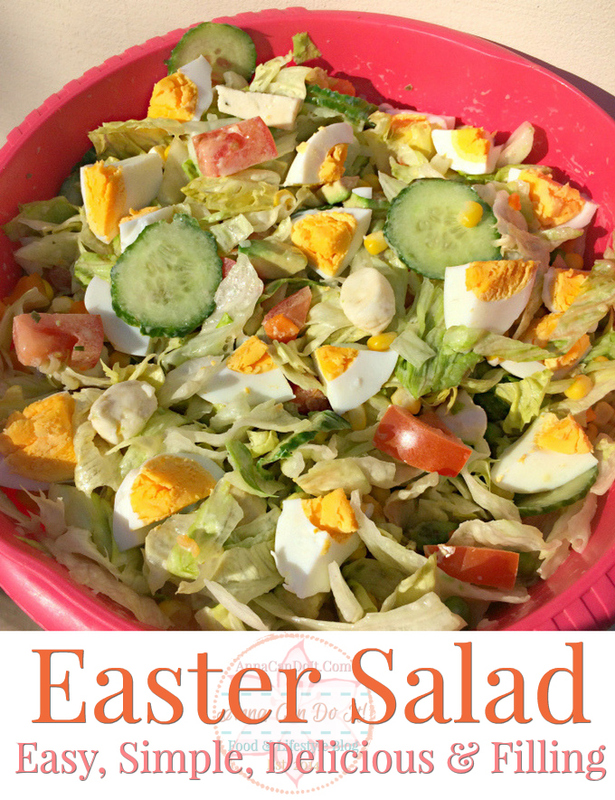 Easter is just around the corner, so I share an easy, simple, delicious and filling Easter Salad with you! 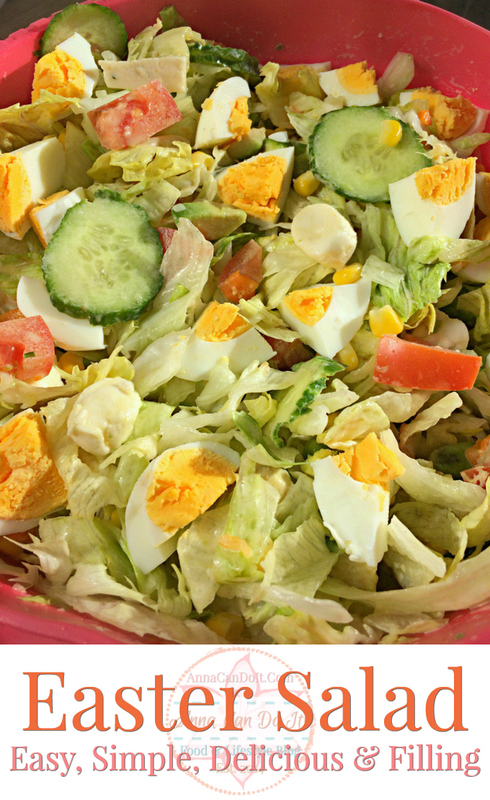 It’s full of goodies such as avocado, hard boiled egg, and crispy iceberg lettuce! It takes your salad game to the next level! First of all, I made this salad after work, so I really didn’t want to take much time with cooking anything complicated. I’m a lazy foodie, and I’m proud of it! I needed something filling, yet quick and simple! But what? A salad is one of my main answers to that frequently asked question. To make this salad quick and simple, you have to prepare the ingredients and make it in the order of the recipe – obviously, but really-. Like most of the recipes, the preparing and the order, you do things matters a lot of time! So make it easy for you and always think through – or follow the recipes-! 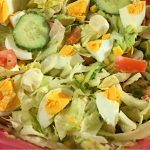 Easter is just around the corner, so I share an easy, simple, delicious and filling Easter Salad with you! It's full of goodies such as avocado, hard boiled egg, and crispy iceberg lettuce! It takes your salad game to the next level! Boil water in a water boiler. Put the eggs in one pot and the frozen mixed veggies in another pot. Pour the boiling water on them and cook them for about 10 minutes. In the meanwhile, you can make the rest of the salad. Wash and dice the iceberg lettuce. Put that in a large bowl. Cut the avocado in half, remove the pit, spoon out the avocado and dice it too. Add to the lettuce. Clean the tomatoes, the cucumber, and the apples. Cut in 8 the tomatoes. Cut in 8 the apples. Add them to the lettuce. Also, add the mini mozzarella balls (cut them in half if you want to). Pour the dressing on and mix everything well. Drain the eggs and the veggies. Peel and cut in 4 or 8 the eggs. Cool the veggies with either in an ice bath or running cold water on it. ( I usually fo the latter). Mix the eggs and the mixed veggies in the salad. Store in fridge until serving!